Essentially a sportier and more powerful version of the standard Tiago hatchback, the car is being jointly developed by Tata Motors and Coimbatore-based Jayem Automotives. 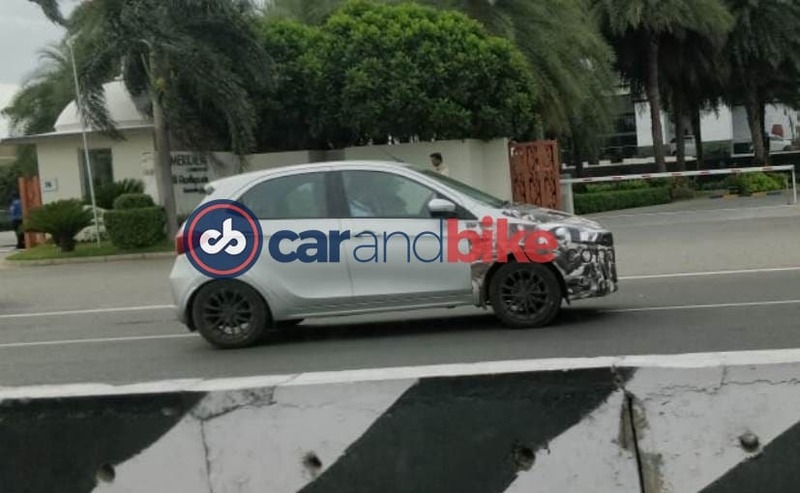 Tata has been working on new performance-spec Tiago JTP and Tigor JTP for a few months now and recently we spotted a partially camouflaged test mule of the former. The car was spotted in Coimbatore, where it is currently under joint development by Tata Motors and Jayem Automotives. While the launch details haven't been announced yet, however, we know that both the Tiago JTP and the Tigor JTP will 1.2-litre turbocharged three-cylinder petrol engine borrowed from the Tata Nexon, which offers 108 bhp and 150 Nm of peak torque. This is not the first time that the car has been spotted testing. Visually, the production model of the Tata Tiago JTP is expected to remain identical to the concept car we saw at the Auto Expo. In fact, the alloy wheels on this prototype model are identical to the ones we saw on the concept car, save for the chrome detailing. Also, unlike the concept model, which features stylish orange ORVMs, the test mule here is wearing body-coloured wing mirrors. The heavy camouflage on the front section of the car hides a bunch of cosmetic updates like an air intake on the bonnet, refreshed black grille, redesigned bumpers, and JTP logo on the grille. Based on some previous spy shots we know the rear section of the Tiago JPT also gets a slight makeover with a JTP badge on a tailgate along with a restyled bumper and twin-pipe exhaust. The car just might get an uprated suspension as well. While we do not get to see the cabin in these images, expect to see an updated interior as well, like updated interior trim and upholstery. The cabin is also likely to come sporting JTP branding, and possibly a touchscreen infotainment system as well.